You might notice that within similarly ranked schools poor whites generally perform at least as well as non-poor blacks (save mainly early elementary school subjects). 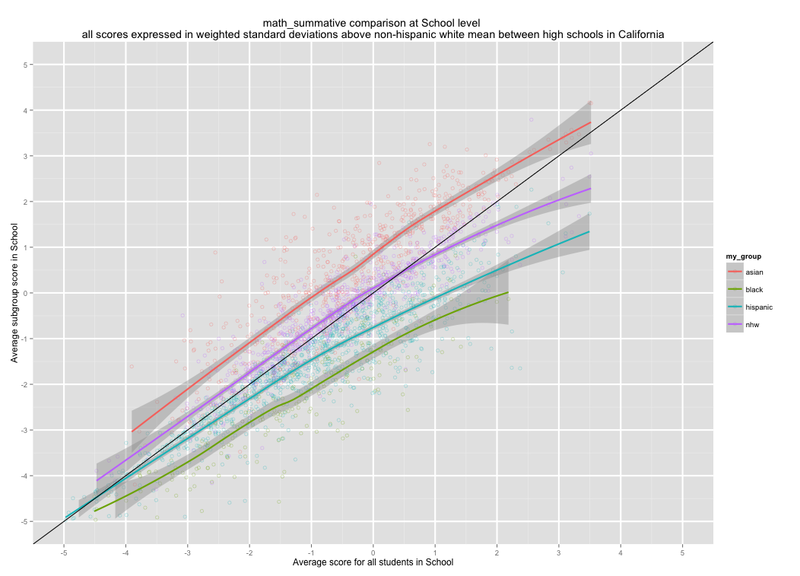 You might note that the better the average score the larger the apparent difference between education levels. This “effect” is probably somewhat real, but it is likely confounded by race/ethnicity too, as in, the “educated” on the left side of the distribution are apt to be proportionately more black and latino than on the right side. 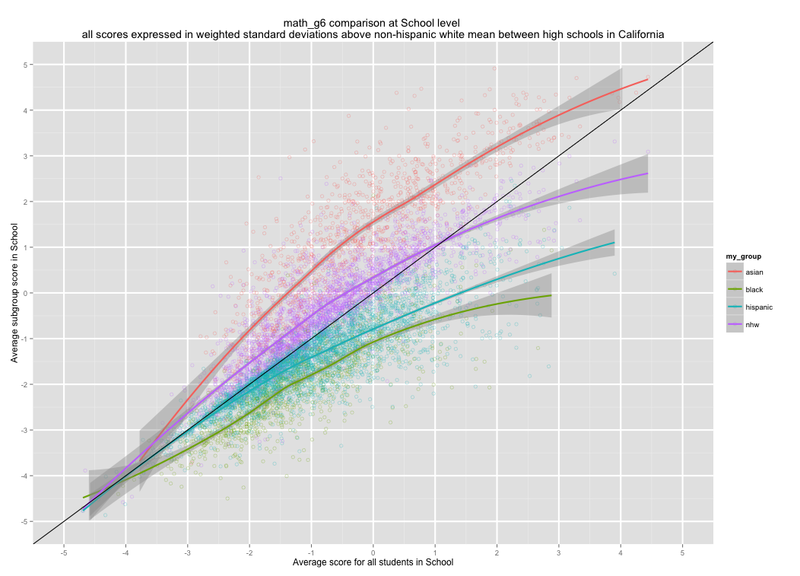 There are also meaningful differences in the academic rigor behind different levels of credentials (e.g., CalTech physics PhD != 3rd tier U. education PhD) and people sort along these lines within and between school districts.